Our topic this week: “The Trouble with Billionaires, Why Too Much Money at the Top Is Bad for Everyone.” You’ll hear directly from the authors of that book, tax Professor Neil Brooks, and journalist Linda McQuaig. Now that Donald Trump appointed scads of multi-billionaires to run the American government, we need to hear this Radio Ecoshock replay from 2010. I’ve got two tasty speeches for you: why the billionaires are taking over, and what we can do about it. A quick note on this week’s program. More than half of Radio Ecoshock listeners are American. But we do have people grabbing the podcast from all over the English-speaking world, and beyond. Some of the following speech is about Canada. But wait! Most of the examples of billionaires, and studies of what people really want, are American. You’ll hear plenty about Wall Street, the greedy Hedge Funders, and why Bill Gates doesn’t deserve his billions. And it’s the same picture in Europe, Australia or China. That is because many developed nations suffer the same disease: with the help of the media (also owned by billionaires) – a collection of billionaires have taken over the financial system, the political system, and social discourse. As we’ll hear, it’s an unannounced coup. Welcome to the Plutocracy, where Democracy used to be! You’ll also hear how other countries, like Sweden, deal with the same problems, to create a fair society. Horrors! The event at the Vancouver Public Library November 3rd, 2010 was sponsored by the Canadian Centre for Policy Alternatives. This recording is by Alex Smith of Radio Ecoshock. The whole event went way beyond what I can broadcast in a one hour show. For the radio program, I’ve zoomed in on the part of Neil’s speech where he outlines the seven premises of the book. Then I’ve picked out “the best of” from Linda McQuaig’s speech. I hope you’ll agree I’ve picked the most important parts of the speech. Should society be more equal, more fair in the distribution of wealth, created by a civilization in which we, and all of our ancestors, have built? Or should billionaires run the whole show? 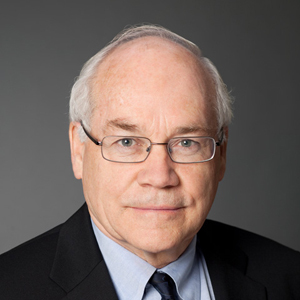 Neil Brooks has been teaching tax law at the Osgood Hall school, part of the University of Toronto, for the past 35 years. In the speech, he begins by admitting the book is another failure in a long string of failures. Brooks has been trying to get the Canadian government to introduce a more just society by taxing the wealthy more. Instead, the government has reduced taxes on the wealthy, and got rid of the estate tax, otherwise known as the Death Tax, altogether. This favors the concentration of wealth at the top. Ironically, much of what Brooks teaches enables lawyers to go out and get even more tax breaks for big corporations. Neil says that at least one third of the wealth by the top 1 percent is never taxed or even calculated, as it moves through various loop-holes and off-shore tax havens. His book has a remedy for that. In the radio segment, Brooks gives a quick overview of the general health of our society since the 1920’s. That was the gilded age, when “Robber Barons” were well known. The 1930’s Depression, followed by World War II, reduced the overwhelming fortunes of the very rich, and brought about a larger Middle Class. That balance stayed until around 1980’s – when the return of Neo-liberalism, Reganism, and the alleged “trickle down effect” got money trickling upwards, and then rushing upward, into the very top one percent of the population. Poverty returned to more people, especially in America. Actual experience, in North America and in other countries shows that taxing the wealthy less ends up creating a less just, and a poorer society overall. The economy suffers when wealth concentrates. There is much more to it, some of it shocking, but you need to listen to the Radio Program. 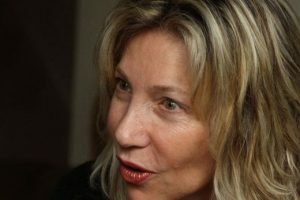 The second speaker was co-author Linda McQuaig, the long-time business columnist, author of a string of Canadian best-sellers, and social critic. She questions why Bill Gates, or any billionaire, should have money worth many lifetimes of work by the average person. And why have the rich taken over since the 1980’s? Isn’t it a coup? In the radio program, we cut in as McQuaig talks about the former media baron Conrad Black, who once suggested Linda should be, quote, “horsewhipped.” Black later hired McQuaig as a financial journalist at his newspaper the National Post. In 2010, she wrote for The Toronto Star newspaper. McQuaig is feisty, lively, and one of the best informed about the wealthy. There is much more detail in the book “The Trouble with Billionaires, Why Too Much Money at the Top Is Bad for Everyone.” Find more here. Just look at the social disruption caused by Meg Whitman’s pouring $143 million of her own money into the election for California Governor. Democracy bought out. Or the multi-billionaire Koch brothers pushing their right-wing agenda, and the Tea Party, in the U.S. While fighting off any action to limit climate disruption. And now billionaire Donald Trump with his billionaire backers have swept the American elections. Part of the role of government was to mediate between the super-rich and their corporations, and the ordinary person. A group called “politicians” filled that role. But hey! let’s get rid of the middle man. Let the corporate owners run government directly. Oops, that’s the exact definition of Fascism, commonly (but perhaps wrongly) attributed to the Italian dictator Benito Mussolini: a marriage of corporations and government. What could go wrong? Billionaires are a much greater threat than we know. And we don’t know, because the billionaires control mass media. Now, thanks to Neil and Linda, you know. And knowing is half the battle. The other half is to reclaim our Democracy, and social justice. My thanks to the Canadian Centre for Policy Alternatives, for organizing this event, and allowing me to record it. Find them at policyalternatives.ca. I’m Alex Smith. I hope to be back live next week, once I beat this ferocious flu. As always, thank you for supporting Radio Ecoshock, and thank you for caring about our world.